In a medium bowl, mix together the ground pork, mushrooms, bread crumbs, oregano, salt and pepper. 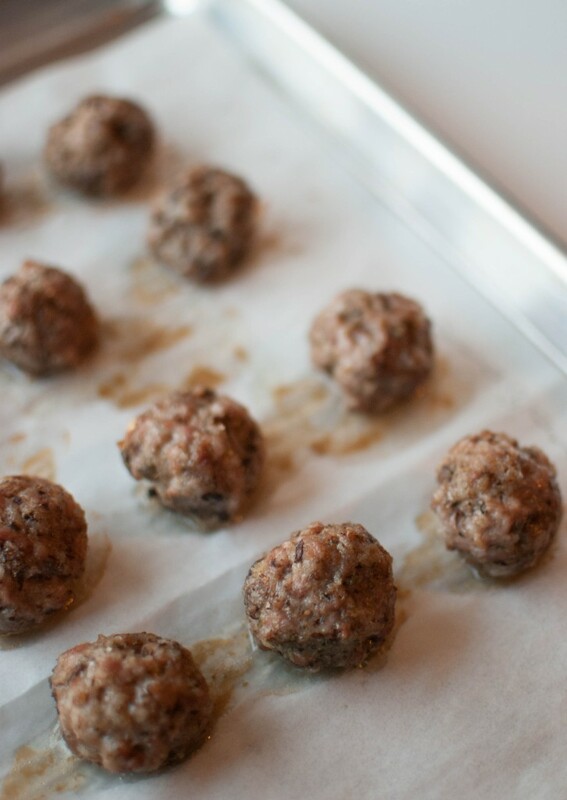 Shape into 24 mini meatballs. Bake for 20-25 minutes until the juices run clear and the inside is no longer pink. 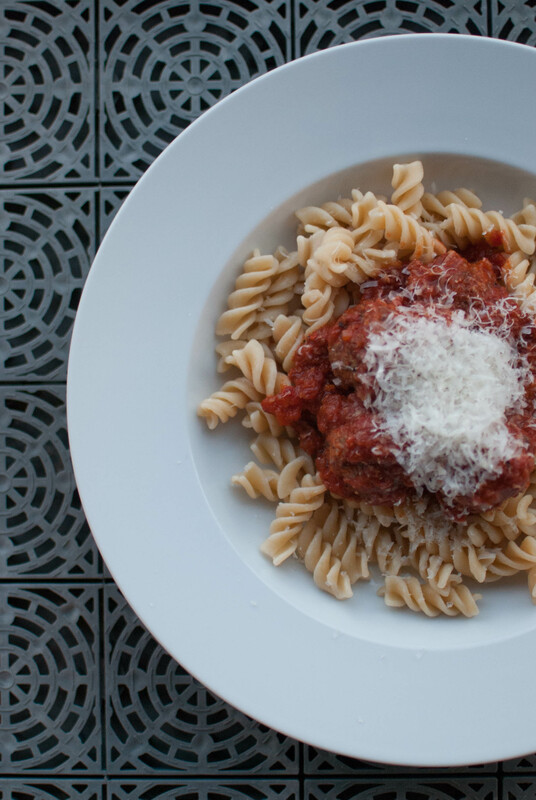 To make it into a meal (which is what we did after we finished tasting them) top meatballs with your favourite pasta sauce and sprinkle with shredded cheese. Serve over cooked pasta.